Despite the integration of Google Voice into Hangout SMS, the importance of Google Voice hasn’t gone down, and there are many fans of Google Voice who still love to call or SMS their favorite contacts using it on the web. Since there is no official desktop client for Google Voice(except Chrome extension), so you need to keep your Google Voice web page open in browser to receive notifications, which is quite irritating as if you mistakenly closed the Google Voice web page, you lose connection to your all important friends, family and coworkers, etc. Though some Google voice desktop notification apps help you overcome this difficulty and make you able to access Google voice very conveniently, certainly there are not many Google voice desktop app clients available. To make it easier to make free voice & video calls, send text SMS and voice mailbox via Google Voice, we have compiled an exclusive list of top 5 Google Voice Desktop App Clients for you to access Google Voice via desktop app client on your Mac, Windows or even Linux. Google Voice is a very powerful service offered by Google to Gmail users all over the world but more frequently in US and Canada. It is a tremendous service that allows you to monitor and customize all your phones such as office phone, home phone, and mobile, etc. via the same Google voice number. The allotted Google Voice number is so powerful that it works even if you change your network location. It is a kind of regular number on which your friends, family, and coworkers can call you without getting confused about whether to call on office number, home or cell phone as the same number can be accessed everywhere. It is like having a cloud system of your phone number. So here we go with our list of Top 5 Google Voice Desktop App Clients. 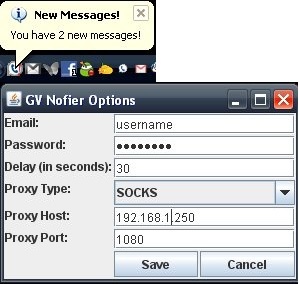 GVnotifier is a very powerful desktop client app for Windows users that brings Google Voice right to your desktop. Now you can quickly send and receive the message, read or listen to voice mails as well as connect people via calls and much more very easily and efficiently using GVnotifier. It notifies you instantly on your desktop when new notification of calls, message, voice mailbox, etc. arrives. You can not only access your full contact book with photos on your desktop but also see your call history to know calls received, missed and dialed, etc. It is a very effective way to access Google Voice on your windows desktop. 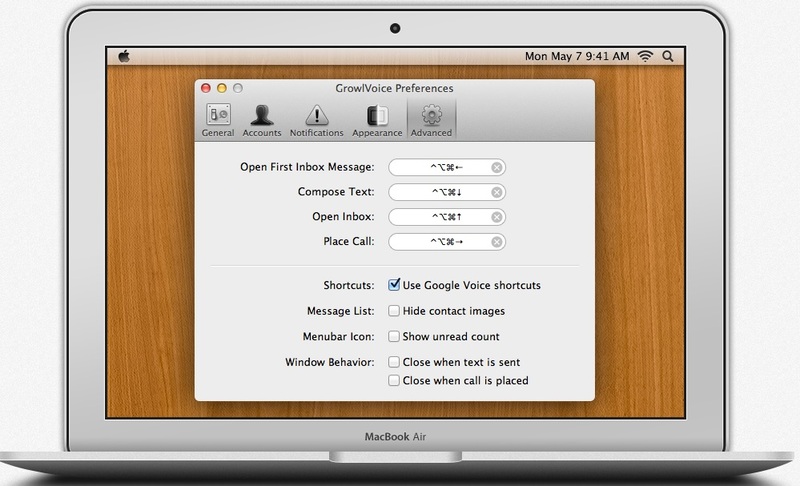 VoiceMac is first Google Voice client for Mac. It allows you to send multiple SMS messages, receive messages, voice mailbox as well as call others and receive calls from them. You can also access your full contact book on your Mac computer and know your call history as it comes with the pre-loaded feature of checking dialed calls, received and missed calls right through call history section. VoiceMac is a superb desktop client for Mac that comes with easy to use interface. When any call, SMS or voice mail arrives, you simply get a quick notification via Growl and hear sounds that are customizable also. 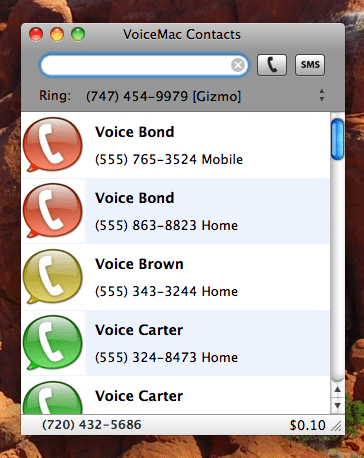 GrowlVoice is yet another cool Google Voice desktop client for Mac users with some very powerful features. GrowlVoice enables you to quickly manage your inbox by sorting your messages by type, search, star, archive, mark as read and much more. 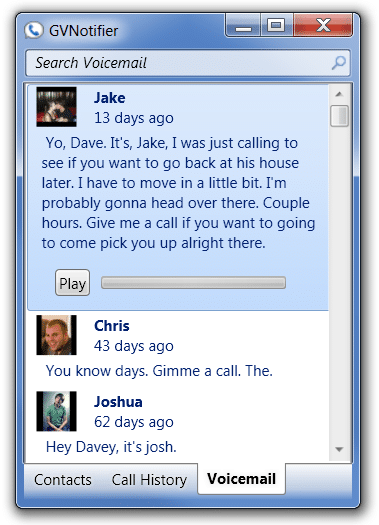 It provides a simple chat interface via the menu bar. It provides instant notifications of your call, messages and voice mail. You can also customize it by changing themes to make it look much more attractive. It is a premium desktop client for Mac that provides a 3-week trial to every user; you can buy full features at $4.99 only. Google Voice Notifier is a system tray notifier for Google Voice that notifies you about your unread messages, voice mails, etc. instantly on your Linux desktop. In fact, it is not only for Linux desktops but also for any other Java supported system as the project is primarily written in Java and uses Google Voice’s REST service calls. The latest version of Google Voice Notifier desktop client has even got smarter with the inclusion of proxy support and ability to check updates automatically. However, the upcoming version is planned to include support for sound when receiving a message also. 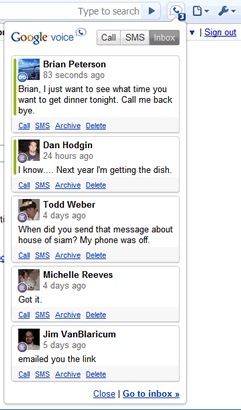 Google Voice (by Google) is a desktop notifier chrome extension for your Chrome browser that allows you to stay connected with your Google Voice contacts. Now you can make calls, send SMS, preview Inbox, and get notified of new messages right through your Chrome browser on your desktop easily. It is a Chrome extension developed by Google team that adds a button to your toolbar through which you get notified about all notifications and activities of your Google Voice account. Google Voice desktop notifier apps are a great way to stay connected with your Google Voice account on Desktop without letting your web page opened in the browser. So here concludes our list of top 5 best Google Voice Desktop Apps clients. 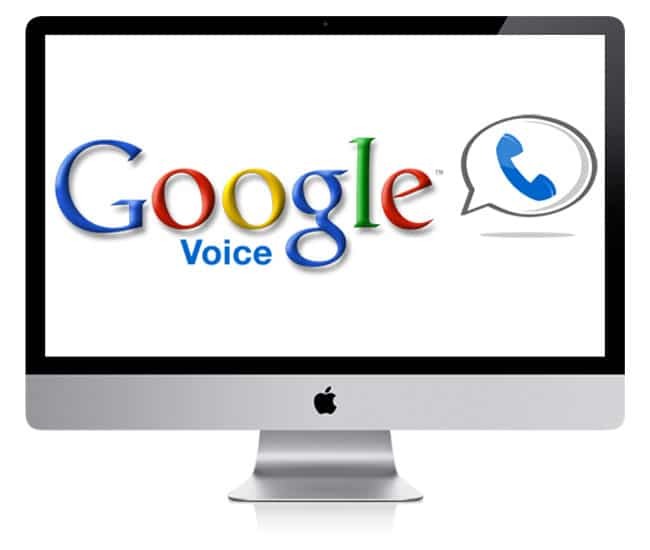 Hope this post will help you to choose your perfect desktop client for accessing Google Voice. Did I miss any? Use the comment box below to add it. 🙂 Also, let me know your favorite Google Voice desktop app client.